Each spring, millions of nocturnal Bogong moths hatch across breeding grounds throughout southeastern Australia before flying over 1,000 kilometers through the dark night to reach a limited number of high alpine caves in the Australian Alps. After a few months of summer dormancy in those cool mountain caves, the moths fly right back to the breeding grounds where they were born. Now, researchers reporting in Current Biology on June 21 have found that the moths, like migratory birds, depend on the Earth's magnetic field to guide them on their way. The discovery offers the first reliable evidence that nocturnal insects can use the Earth's magnetic field to steer flight during migration, the researchers say. "When we began this study, we were convinced that the Bogong moth would exclusively use celestial cues in the sky, such as the stars and the moon, for navigation during migration," says Eric Warrant of the University of Lund, Sweden. "This, it turned out, was not the case. We were very surprised when we discovered that these moths could sense the earth's magnetic field just like night-migratory birds-and probably for the same reason." Bogong moths and monarch butterflies are the only known insects to migrate over such long distances, and along such a specific route, to a distinct and geographically restricted destination visited by thousands of previous generations. In the new study, Warrant, David Dreyer, and colleagues set out to explore how such a small animal, with its tiny brain and nervous system, could travel so precisely and so far, having never been to their destination before. How could the same individuals then find their way back again after months in the mountains? The researchers tethered migrating moths in an outdoor flight simulator. They found that the moths' flight direction turned predictably when dominant visual landmarks and a natural Earth-strength magnetic field were turned together. When those two cues were turned in conflicting ways, the moths became disoriented within minutes. 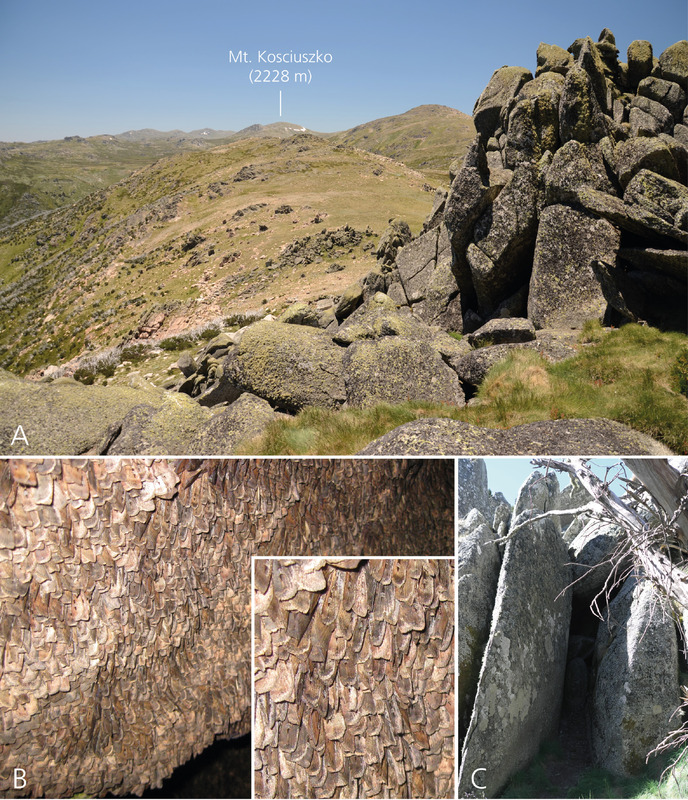 The findings led the researchers to conclude that Bogong moths rely on a magnetic sense. The findings suggest that nocturnally migrating insects might use the Earth's magnetic field as a compass during migration just as nocturnally migrating birds do. The researchers suspect the moths use a magnetic compass to determine their migratory direction and then align this direction with a celestial or terrestrial landmark in the same or a similar direction, which they then use as a visual beacon. "This is essentially the same strategy we use when hiking in wilderness terrain: we determine our direction with a compass and then look for some distant landmark in roughly the same direction-for instance a mountaintop or a distant tree-and then head for this as we walk," Dreyer said. "When this landmark is no longer reliable, we again check our direction with the compass and choose a new landmark to orient towards." The researchers say they would now like to dissect in more detail how and which visual and magnetic cues the moths use and how they are integrated in the brain. Due to the moth's relatively simple nervous system, they also hope to learn how the insects detect magnetic information, something that hasn't yet been achieved in any animal. "The discovery of the magnetic sensor is one of the Holy Grails of sensory physiology," Warrant says.